One of only a few locally owned and operated horseback riding operations in Jackson Hole, Mill Iron Ranch is bordered on three sides by the Bridger Teton National Forest and the second Largest State ran Elk Feed Yard in Wyoming. Their unique location in the Horse Creek Valley provides guests with unparalleled trail riding opportunities. Mill Iron pack horses are also born and raised on the ranch. 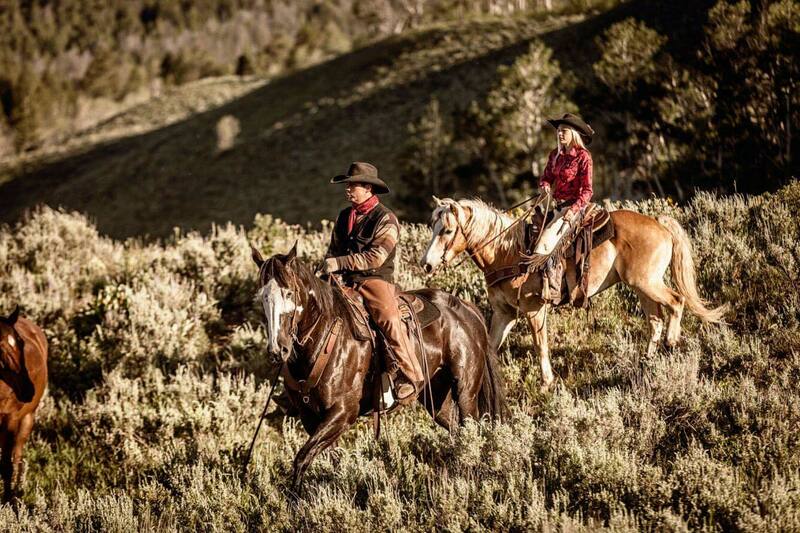 Come experience the only true mountain horseback trail ride in Jackson Hole and learn about old cowboy traditions first hand. Children must be 6 years of age or older to ride. Maximum rider weight of 230 lbs. 18% gratuity to be paid at activity check-in.